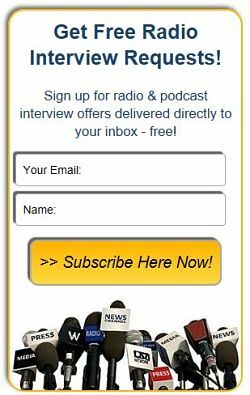 Lyman Montgomery, Focused Productivity Expert & Coach - Radio Guest List.com - How to Get Radio Interviews and Find Podcast Guests! Are you a distracted entrepreneur who tends to procrastinate? Productivity Coach Lyman Montgomery can help you to be more focused, productive, and profitable while maintaining a healthy work-life balance, too. Do you ever feel distracted and unfocused in your life and work? Do you feel that you have exhausted all resources to get focused in your life? Do you feel you are at a crossroads in your life, business, and relationships? Are you focused in some areas of your life and work, but find yourself distracted in other areas? Lyman can help you to remove debilitating distractions in your business and to set a clear vision. He helps you set profitable priorities, so you can clearly decide what direction you want to take your business. He helps you achieve authentic confidence in yourself and to experience new possibilities for your business. It is his personal belief that we all have the ability to achieve focused-driven results in both business and life. Lyman's coaching process focuses on three main areas: Getting Focused, Setting Priorities, and Achieving Results. Through this award-winning focused coaching process, he begins by helping you direct your attention to understanding how your belief system affects your ability to focus and reach your goals. Second, Lyman can help you to refocus your attention on confidence boosting activities and exercises. His clients experience increased confidence, productivity, and clarity of purpose after working with him; and are prepared to overcome any business and life challenges. They have a deeper understanding and appreciation of who they are becoming and can see new possibilities in their work, careers, and relationships. You can achieve an amazing life despite the suffering major tragedies in life. Lyman will share how he was sexually abused as a child, failed in school, and told he would never achieve much in life. Today, Lyman is a widely sought-after speaker, author, trainer and coach with a thriving coaching and consulting business. He will share with listeners that through the power of focus on the right things, they can live extraordinary life without distractions. Listeners will discover why as humans we are prone to procrastinate and get distracted. And they will learn key proven strategies to focus their mind and get rid of distractions, so they can achieve success at work, home and at play (vacation). Why we as human are easily distracted and what we can do to stop distractions. How focus is essential to success in business and in our relationships. How to help children to focus their attention so they can achieve success in school. Why goal setting and long-term planning is detrimental to long-term success . All distractions are not created equal, some are actually healthy and will increase focus. A Certified Entrepreneur Coach and published author of five books. No stranger to adversity, was bullied and sexually abused by a teacher as a child for three years, tried to commit suicide twice, suffered three failed marriages and lived a life completely out of focus. In desperation, Lyman hired a coach and his life completely changed for the better. Lyman's coaching process includes experiential learning techniques combined with focused exercises and meditation. See more Featured Radio Talk Show Guest Experts here. Would you like to be listed as a Featured Talk Show Guest Expert? Our web site and email promotions can showcase your expertise worldwide! See our easy Guest Expert Advertising options here!